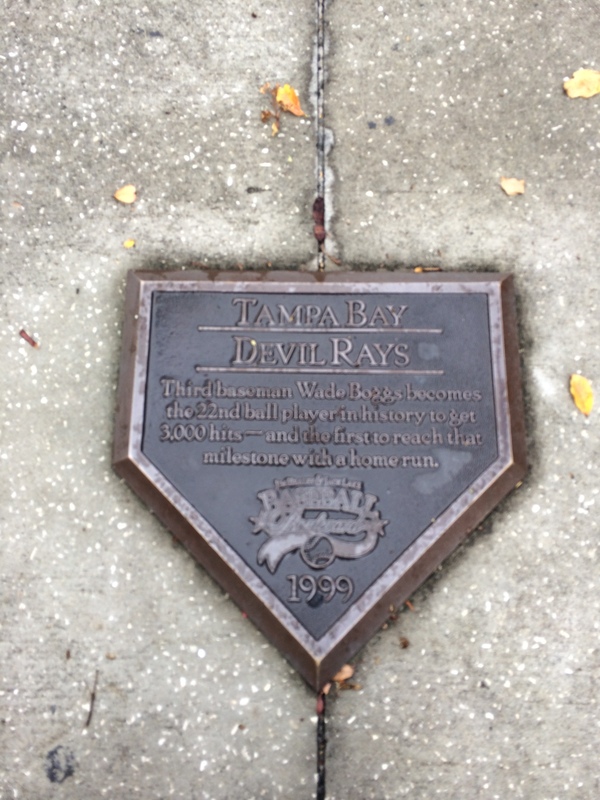 My First Rays Game-A Playoff Game to Boot! 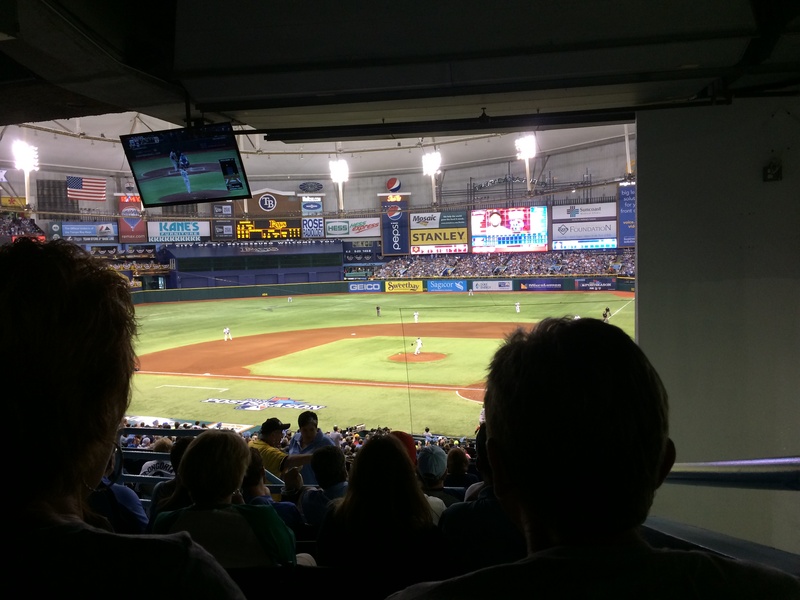 Tropicana Field-No I’m not leaning, the Trop is designed that way. We won the lottery. 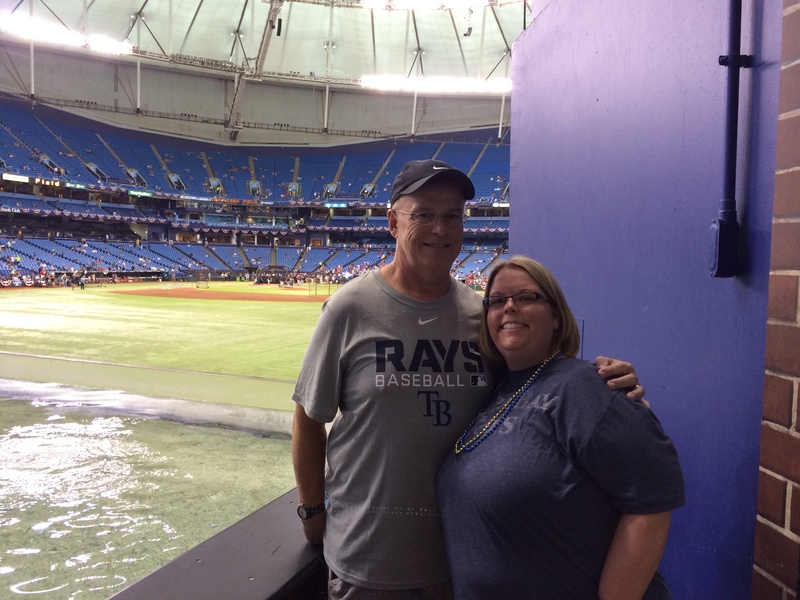 No, not Powerball, the Rays’ Ticket Lottery. For the first time ever, Baseball Ross and I entered a playoff ticket lottery and won. I guess you’d say the Rays are my second team. 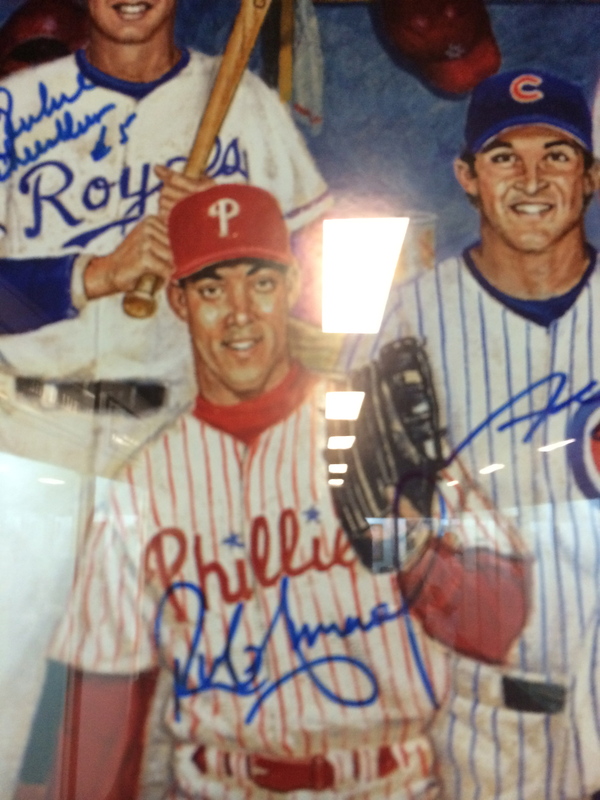 The Phillies, even as maddening as they can be, are still my favorite team. However, now that we live in Clearwater, I must admit that I kinda like my now home town team. We had heard horror stories from friends about how hard it is go get to the Trop, how horrible parking is. Just horror story after horror story about how difficult everything is when it comes to going to see a game at the Trop. So we planned ahead. We got maps of approved parking lots and when we could, bought parking passes ahead of time and we decided to leave hours early. It worked out. For the first game, we didn’t get a parking pass due to a “burp” with the ticket buying site. 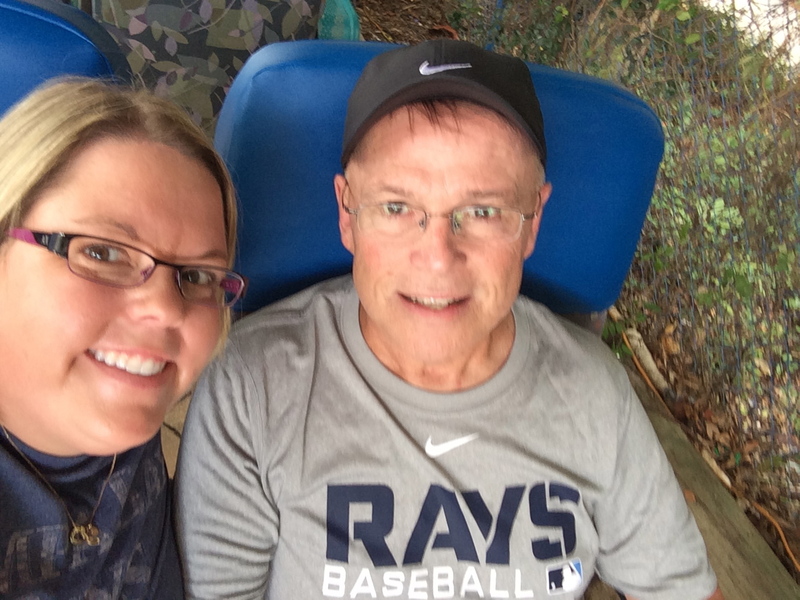 We left for St. Pete early and followed suggestions by a neighbor on how to find parking and….it worked. A local sports bar, Ferg’s which is across the street from the Trop had a big party and we headed there after parking. Ferg’s is your average sports bar, average food but they do provide a place to hang out before a game and have a really cool outdoor area complete with TVs, which is where we hung out. Since it was our first game, we splurged and went with some pricy tickets that had food included. 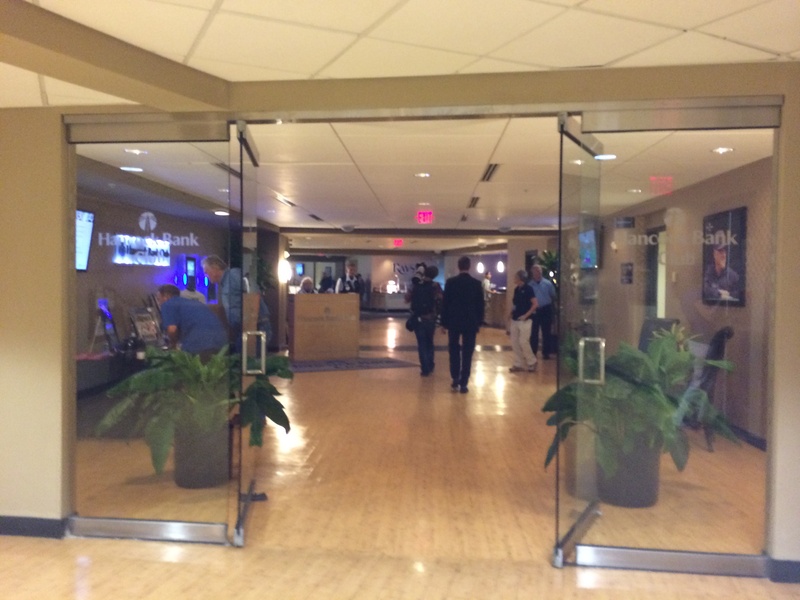 We got to eat in the “Bank America Club” and even had waitress service at our seats! That was pretty cool. We also spent a lot of time exploring. 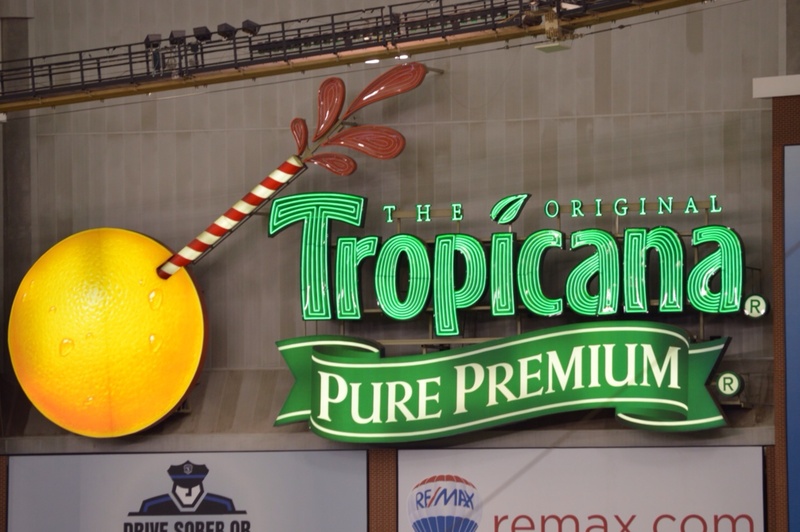 The Trop is now home to the Ted Williams’ Hitters Hall of Fame. We also paid a visit to the Ray Tank. Personally, one of my favorite features! 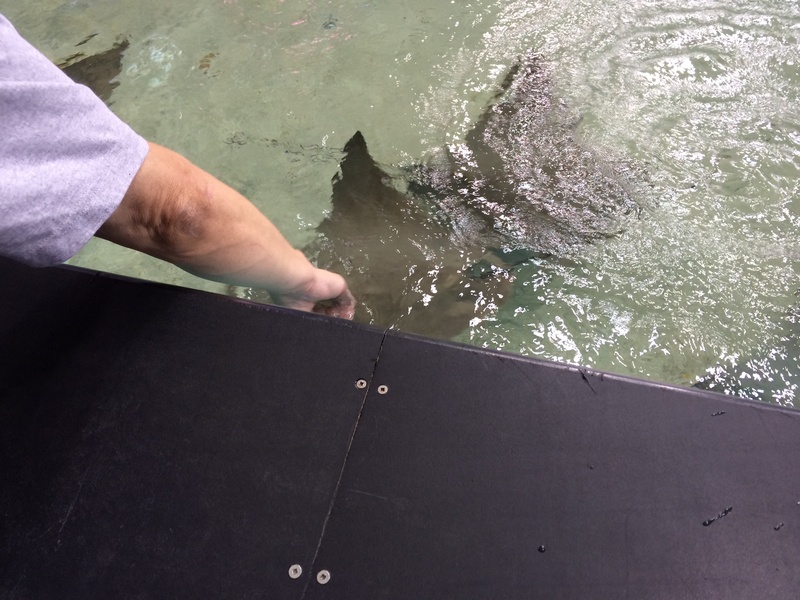 I LOVE to pet rays. For some reason they just fascinate me. 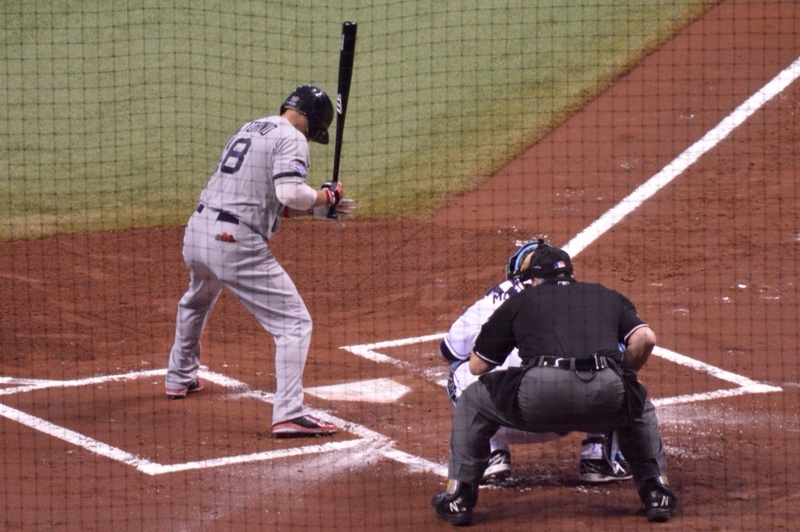 In fact, the Rays’ game winning home run that night went into the tank right about where the left side of the picture is. The only real downside to this visit was our sight lines. 1. The incline is not very great so when you get a woman that’s 6 feet tall with 4 inches of teased hair on the top of your head…you won’t see much. 2. 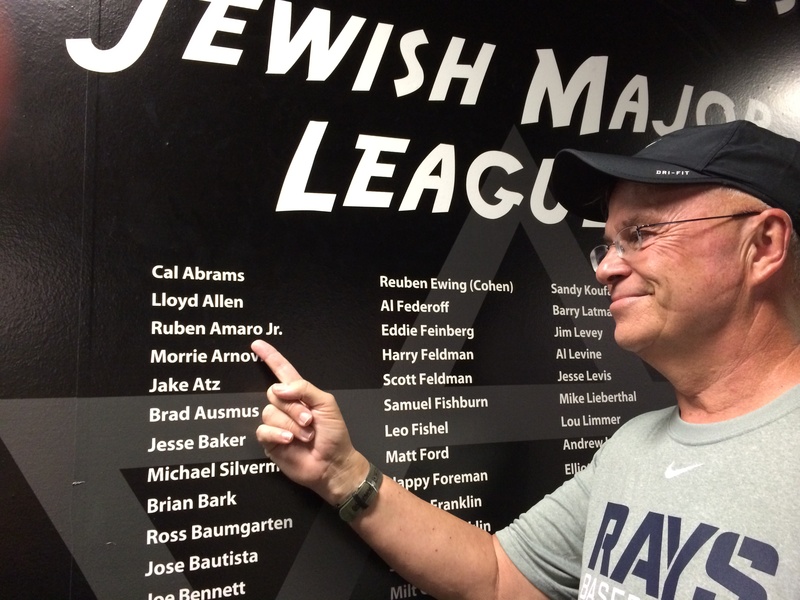 I had a WALL in front of me that kept me from seeing the Rays dugout and any fouls that went down the right side. The best thing was the TV that was on a five second delay so we could see what we missed. 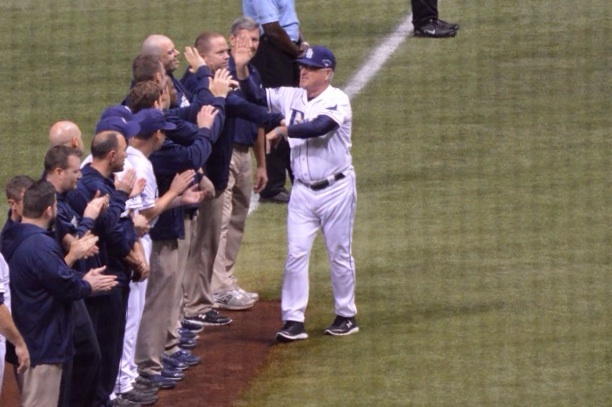 Rays Manager Joe Maddon is Introduced. 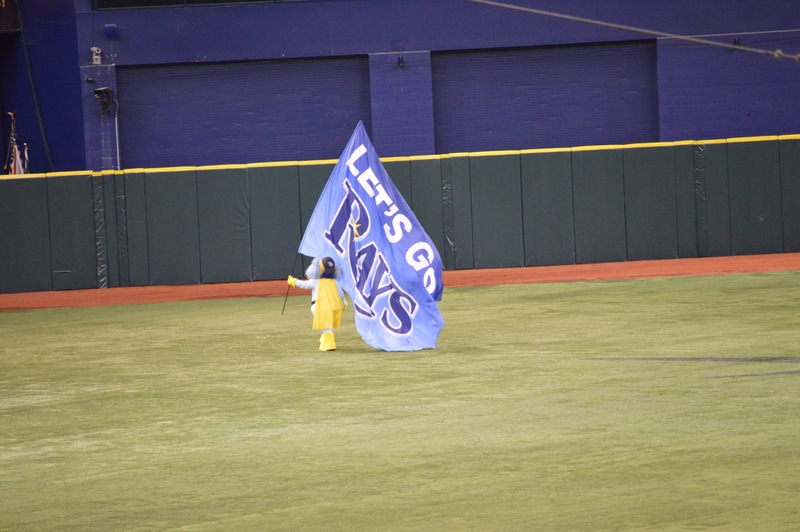 Best of all…The RAYS WON!